On March 27, Latin superstar Prince Royce revealed a contest via his official mobile app powered by "escapex" that will give one lucky fan the opportunity to join his epic summer tour. If you want to be a "Roadie for a Day," you just have to download Royce’s mobile app right here! The 22-city U.S. tour kicks off June 29th in Laredo, TX and supports Prince Royce’s smash album FIVE and its superhot single “Déjà Vu,” featuring Shakira which is rocketing up the charts. Fans are encouraged to become superfans and comment on his app, telling Royce what show they will be attending and why they want to be part of the team. Over the next week or so, Royce will read the comments and pick one lucky fan to come out on the road for a day hang with Prince Royce himself, work backstage and sell merch. The "Roadie for a Day" contest is open to U.S. residents 18 years of age and older. This isn’t the first time that Prince Royce has created a once-in-a-lifetime experience for one of his fans. In November 2016 he took one lucky aficionado to the Latin Grammys in Miami. The Prince Royce App has been hugely successful with fans, enabling Royce to engage directly with his most loyal superfans all from his smartphone. 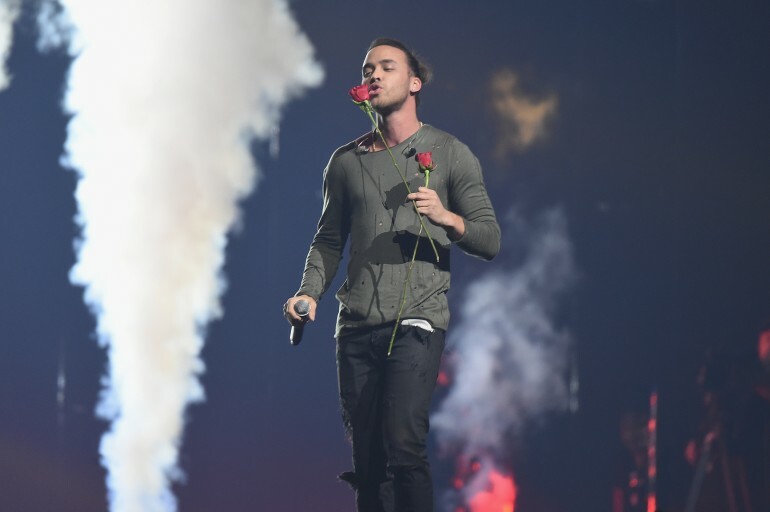 Over the last five years, Prince Royce has scored 11 Number One hits, 21 Latin Billboard Awards, 18 Premio Lo Nuestro Awards, 19 Premios Juventud Awards and earned 9 Latin Grammy nominations. He has amassed a powerful fan base with over 2 Billion streams online, 33.5 Million followers on Facebook, 6.8 Million on Twitter and 7 Million on Instagram. He has sold out the most prestigious venues in Latin America, as well as concerts throughout the U.S., including Radio City Music Hall, The Nokia Theater and the Theater at Madison Square Garden.